You sank my space ship! 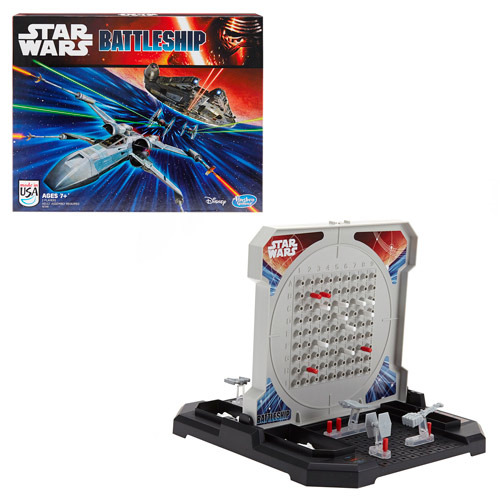 The Star Wars The Force Awakens Battleship Game lets you take the classic game of submarine combat to the stars, trading the seven seas for far-away galaxies. Destroyers, fighters, and more, are all taking aim for victory - but who will win? It's up to you in this game of chance and strategy. 2 Players. Ages 7 and up.